Steve Kates was the Chief Economist for the Australian Chamber of Commerce for 24 years and a Commissioner on the Productivity Commission. 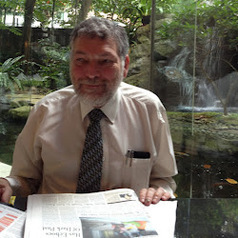 He is now associate professor of economics in the College of Business at RMIT University in Melbourne. He has written the first post-GFC textbook in economics, Free Market Economics: an Introduction for the General Reader - now in its second edition - which explains amongst other things why the stimulus packages that followed the global financial crisis have created the economic problems we have and undermined our economies' ability to grow and increase employment. His most recent book, Defending the History of Economic Thought, explains why economists must understand the history of their own subject if they are going to be truly able to make sense both of the theories they learn and the world in which they are trying to make judgments about.